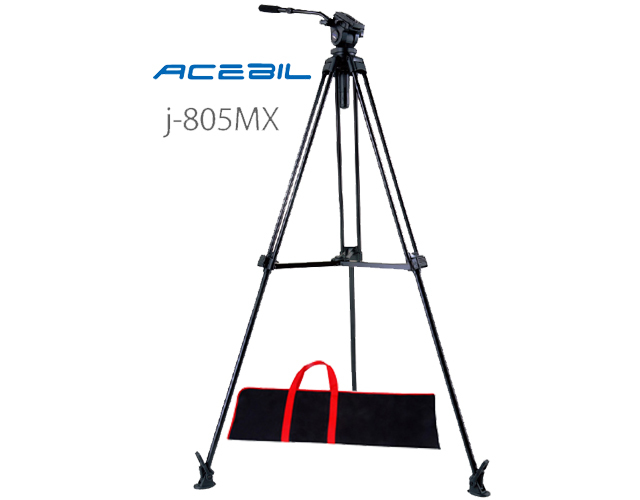 The Acebil j-805MX Prosumer Tripod System includes a single stage, lightweight 4.1kg / 9.1lb aluminum tripod, the H805 fluid head, mid spreader, and the S-30 case. 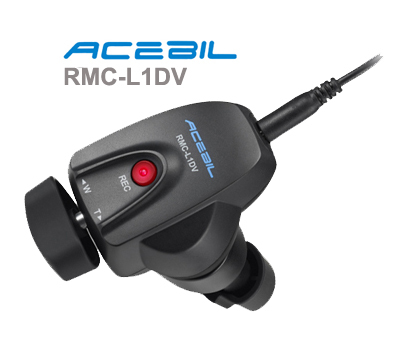 Capable of supporting up to 5kg / 11lb, the j-805MX provides an optimum solution for small and high performance MiniHD camcorders. 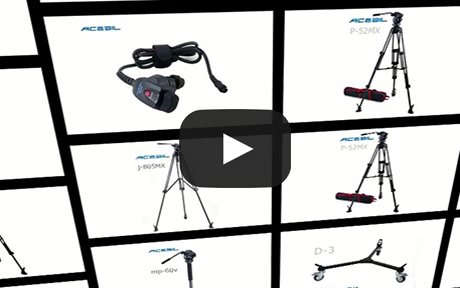 The Acebil j-805MX Prosumer Tripod System includes a single stage, lightweight 4.1kg / 9.1lb aluminum tripod, the H805 fluid head, nid spreader, and the S-30 case. 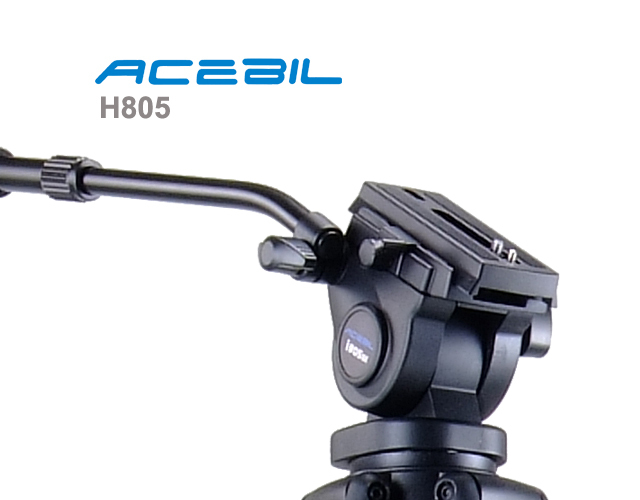 Capable of supporting up to 5kg / 11lb, the j-805MX provides an optimum solution for small and high performance MiniHD camcorders. The aluminum tripod can be adjusted to a height ranging from 87-150cm/34.2”-59”, and the mid spreader provides augmented stability and rigidity. 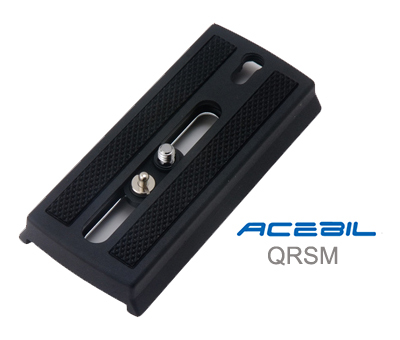 You can achieve fixed counter balance and drag by means of the included H805 standard head.